Save the date: March 24, 2018! 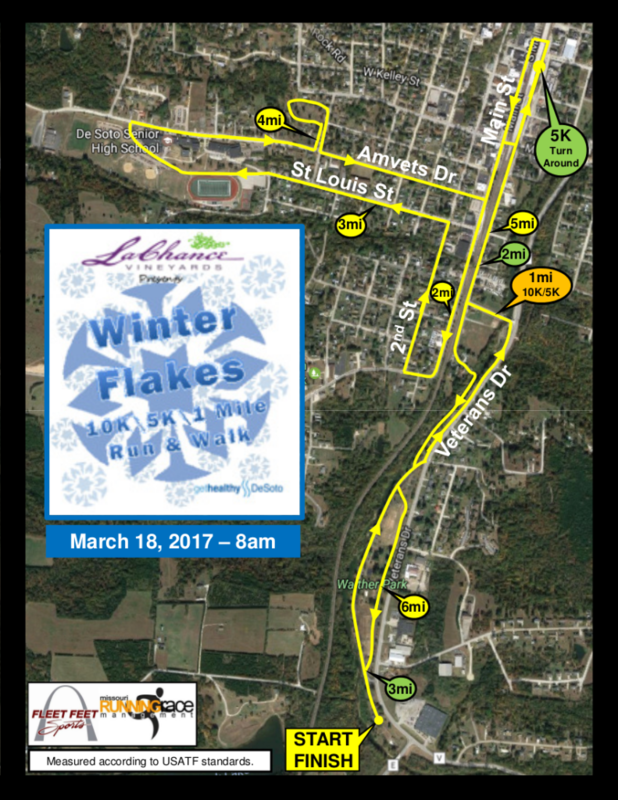 March 18, 2017 turned out to be a great day for the Winter Flakes Race. There were 236 participants, and a good time was had by all. A special thanks to the organizations that sponsored the event and the countless volunteers who helped direct traffic, distribute water, and donated time to the race coordination. The race results can be found here. The race route for the Winter Flakes Run has been finalized and is now available! Spring race season is upon us! Here are some local (and not so local) races that you might find interesting. 1. 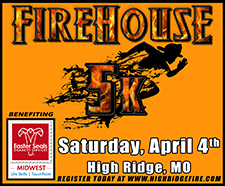 Firehouse 5K on April 4th in High Ridge. This 5K run raises money for the Easter Seals’ TouchPoint Autism Service. For more information, check out their website. There is also a 2 mile fun walk! 2. April 18th will be the first annual 5K for the Relay for Life of Northwest Jefferson County in Cedar Hill. Race time start is 1:30 pm! Per their website, runners will be able to enjoy the opening ceremony of the event before the race as well as spend time at the “county fair” themed event afterwards. There will be plenty of food, entertainment and activities available for all ages including hot air balloon tethered rides, mechanical bull, bounce houses and bands. Funds raised through Relay for Life go directly to the American Cancer Society to help fund research for a cure, various programs for those battling cancer as well as education programs to reduce cancer risk. For more information, see their listing on the Fleet Feet calendar. 3. The USO Country Music Run is a 5K/10K run along a scenic and well designed course which is USA Track and Field Certified. The run starts Saturday April 25, 2015 at 4:00 P.M. followed by the concert at 5:30 P.M. Johnny Henry kicks off the music at Union Station followed by headliner Craig Morgan. Concert tickets are included in the price of registration. For more information and to register, check out their website. 4. Hillsboro Homecoming is right around the corner, and their annual 5K will be Saturday, May 16th. The cost is only $15 if you sign up before May 9th. For a copy of the information and entry form, click here. 5. The very next day, you could join the Make Tracks for the Zoo run, which benefits the Saint Louis Zoo’s conservation efforts. There will be lots of family-friendly activities associated with this run/walk, so be sure to check out their website for more information. 6. DeSoto Dash for Dystrophy 5k will be Sat, June 6th. It will begin at the DeSoto High School Track, 815 Amvets Dr., DeSoto, MO 63020. This is the 7th Annual DeSoto Dash for Dystrophy 5K, and it raises money for the Muscular Dystrophy Association of St. Louis. The money raised helps fund research, summer camp opportunities and other services for children and families dealing with Muscular Dystrophy, ALS, and other neuromuscular disorders. Once we have more information about this race, we’ll share it. If you have information about a local race, please feel free to share it. We’d be happy to pass that information along. Congratulations to Colton Vaughn and Emma Wright, the overall 5K winners. For all the 5K results, click the link below. Congratulations to Aaron Dugan and Katie Holmes, the overall 10K winners. 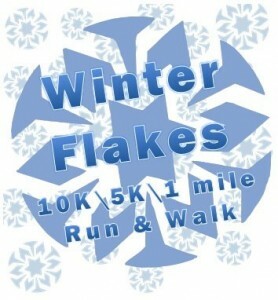 For all the 10K results, click the link below. Thank you to all the volunteers who made this great event possible!